Heavy machines for Shanghai World Expo: six pieces in total; super-wide, super-heavy, one-piece total weight as high as 26630KG, smooth surface without point of force application. Czechoslovakia — Frankfurt, Germany — Shanghai, China; for Frankfurt — Shanghai route, transported by Air China Cargo Boeing B747-400 Freighter. 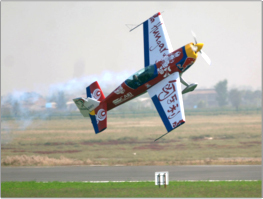 Hungary stunt plane for China International General Aviation General Assembly. Special cargo with many restrictions for compression resistance of tying point, super-long wing span as long as 7.5m, super-high fuselage with four-leaf propeller secured together, top height as high as 2.65m. Hungary — Frankfurt, Germany — Beijing, China; for Frankfurt — Beijing route, transported by Air China Cargo Boeing B747-400 Freighter. 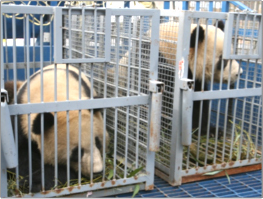 Eight Olympic pandas raised in Sichuan Wolong Panda Taming base. Cargo space oxygen consumption and temperature control, specially tailored cages, special arrangement requirement, flight duration and taking-off and landing stability control, fine care by arranged entourages in whole journey. Beijing — Chengdu, transported by Airbus A330. 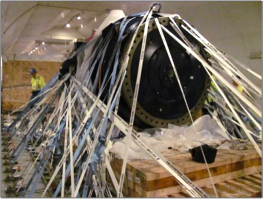 17m long single airfoil, successfully loaded for the first in China. Ingenious application of two large platform cars to form T shape, cargo loaded from nose door of plane. 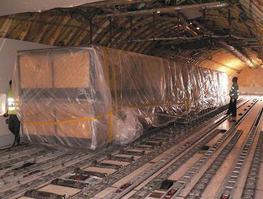 The cargo, also accessories of aircraft on ground; space booked and smoothly shipped on that very day. Beijing — Frankfurt, transported fully by Boeing B747-400 Freighter of Air China Cargo.